Home / Events / Toronto Cider Festival? Don't Mind If I Do! 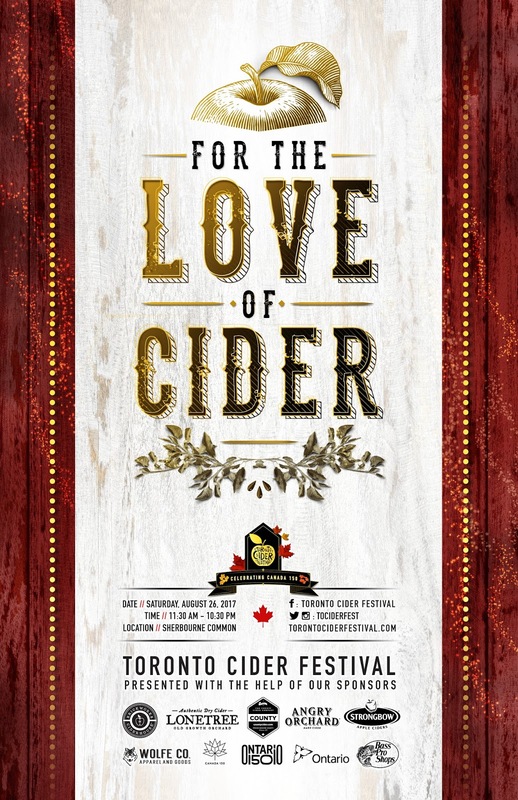 Toronto Cider Festival? Don't Mind If I Do! Summer isn't only about beer; it's also about cider! Toronto's Cider Festival is going down at Sherbourne Common on August 26 and you don't want to miss it. This isn't your run of the mill 'try a drink, try another drink' event. Read on! Keeping the Canada 150 celebrations going, there will be 28 cideries boasting over 70, that's right 7-0, different ciders from across Canada. I didn't know that many even existed! You can also enter a contest to win a trip to Prince Edward County and Vancouver. There will even be a market with Canadian crafts. Loving this Canada theme! In addition to fabulous ciders, there is also a food and cider pairing courtesy of Brickworks Ciderhouse and eFresh Meals during the VIP hour for the day session. I honestly never thought of pairing cider with food, but I can't wait to see it! The day session also boasts a great Canadian cover band, ONQ, and a Live Art Showdown. I'm not sure what happens in this showdown, but I'm curious to find out. The evening session is equally as cider-y and Canada-y. Don't miss the Flair Bartending Competition....not something you'd want to try after having a few ciders. You must head over to the Game Zone to win some prizes. What's a summer festival without games?? DJ D-Smooth will be in the Party Zone to end the evening right. There will also be food trucks on site to keep your belly full. Don't forget to stop by the photo booth!! There are so many new cideries out there and I'm excited to try them. 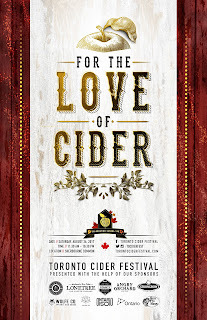 This is my first time going to the Toronto Cider Festival, but it must be good; this event sells out every year! Get your tickets now!